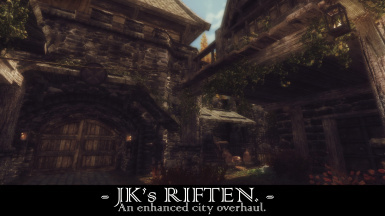 An enhanced cities and towns overhaul, all in one. Includes all the latest versions of all my overhauls to date. Big thanks to Teabag86 for the porting and bugfixes!!! (1) I have clipping objects. The SE release has been highly polished, tweaked and finessed by a team of testers. If you have obvious clipping like chairs, barrels, etc then you probably have a mod conflict. * Open the console and click on the clipping objects. The first two numbers / letters of the FormID show the position of the conflicting mod in your load order. Patches are available for most mods. * If you have installed this or other mods on an existing save it is possible that the game has stored objects in your cache (i.e. baked into your save). Go in to an interior cell and console command "pcb" to clear the cell buffers. If that doesn't work try waiting in an interior cell for 30 days. You need to determine whether you have a mod issue or a save issue. * Fire up Skyrim however don't load a save or start a new game. At the Bethesda logo open the console and type "coc whiterunorigin". This will take you straight into the game bypassing your save. If the game loads fine then your save is a problem. Try FallrimTools - Script cleaner to resurrect your broken save. *If you still CTD with the coc bypass save method then you have a mod issue - usually you are missing a master file to a patch you have enabled. Check your load order for missing masters. LOOT and MO2 can help locate the issue. *Note: You can use variations such as "coc solitudeorigin" etc for the walled cities and "coc ivarsteadexterior01" for the villages. The exception is "coc riverwood". (3) I've got purple, missing or blurred textures? 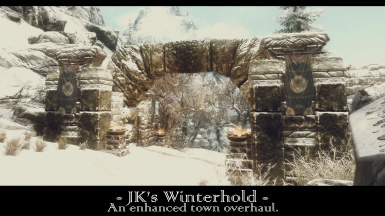 JK's Skyrim doesn't add / change textures or meshes and will use whatever texture overhauls you have installed. It simply places vanilla objects which is why the file size is so small. 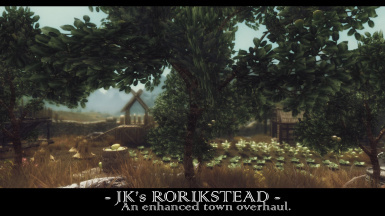 The only exceptions are a handful of custom assets - ship in Dawnstar, apple trees and crates in Rorikstead. (4) My FPS is tanking! If you are experiencing an FPS drop make sure to install SSE Engine Fixes which will fix the SSE bug of crippling your FPS when a certain number of items load in a single cell. (5) Something is happening to my doors, interior cells, NPC's, quests, etc? 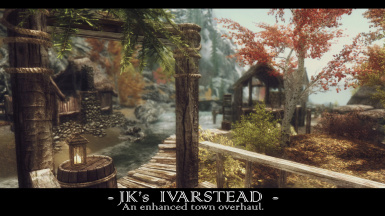 JK's Skyrim doesn't edit ANY vanilla NPC's, doors or interior cells. It simply adds exterior objects. 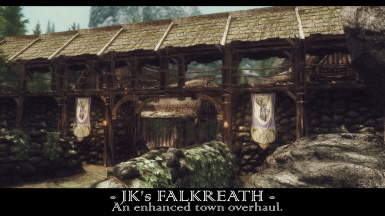 If you have an issue in a city, town or village it doesn't necessarily mean it is related to JK's Skyrim. Please do some research before posting a bug report. The latest 1.6 update is extremely minor. I simply corrected an Object Bounds wild edit on one record and packaged the assets in a BSA. That's it. I was waiting for any bug reports to come in to make the update worthwhile but there aren't any. 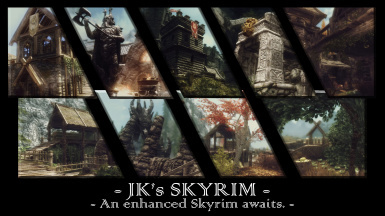 I think this will be the final update to JK's Skyrim. All patches are squeaky clean and ESL flagged files. The only outstanding one is Skyrim 3D Trees which Mathy79 is working on. Thanks for packing it <3 it was main drawback of this mod. Now i use only 8 loose files mods. No problem. I'm honestly curious why you saw it as a drawback? A few people requested it and when I asked them why I received no response. 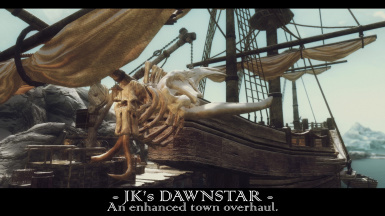 It's only a handful of assets; ship in Dawnstar, a few crates and apple tree in Rorikstead and the facegen files. I always like to delve into mods when I install in them and much prefer loose files rather than unpacking a bsa. Anyway it's done now, but I'm still curious why people prefer it this way. I dont trust mod organizer so loose files are rather irritating to maintain and remember which one belongs to which mod. Thank you for the update. I personally don't care about the BSA, but fixes are always good. Not sure why you wouldn't trust MO ? Loose files only seem to be problem with facegen for me. It can easily cause blacface if you have something like npc overhaul and later add mod that edits some character with bsa. Bijin doesn't seem to have that problem though. 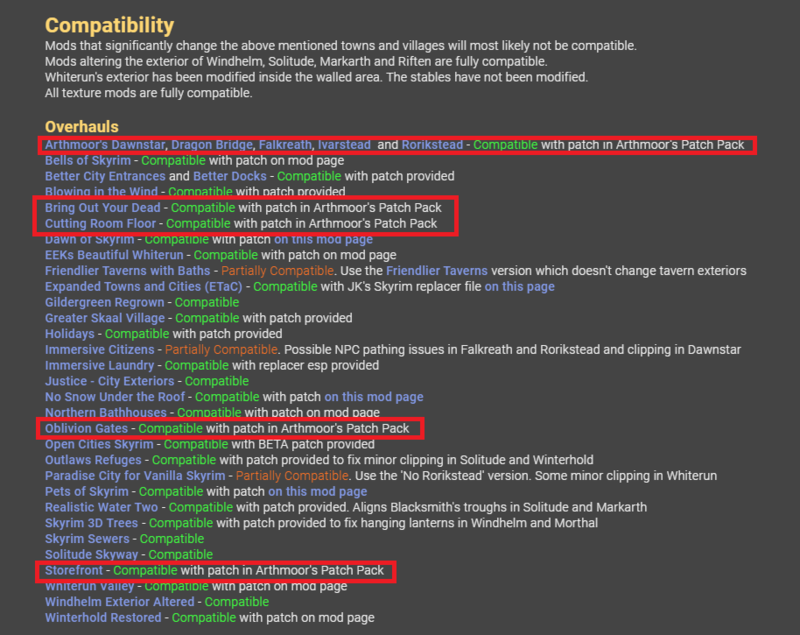 You even went as far as making numerous AIO patches for Arthmoor's Pack flagged as ESLs, you legend. Thank you for one of the entries on my can't live without list! I've made facegens avail for the few npcs this adds to make compatibility easier for people who use both this and the mod that edits base game character assets. My apologies for not posting sooner per permissions info. My ONLY complaint is this causes the loading screen to freeze up for a few seconds before loading, not always oddly, and mainly when fast traveling long distances. Definitely not the end of the world but it's kind of annoying, it acts like it's about to crash but then loads in just fine. Does this happen to everyone? I mostly only have textures and some LOD mods installed so I don't think it's a conflict thing. Any memory patches or tweaks that might help this?? Update your copy of Detailed Rugs. Man, you're good. 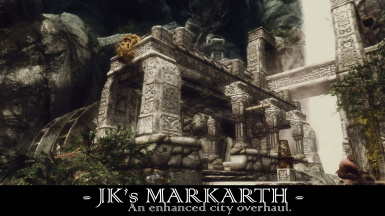 I was using the links from Palaces and Castles Enhanced and didn't realize most of them linked to Skyrim LE, including Detailed Rugs, I just assumed they were SE and followed install instructions. To top it off I merged JKs with DoC, made some ini tweaks, and now I'm running all of the above at a stable 60 fps and it's glorious. Good to hear! Glad you got it working to your expectations. What's DoC? No worries. When you say merged JKS+DoS I hope you are also using my patch? Of course! :D I know how to read.....usually. And thank you very much for that, minus the FPS hit the two go great together! Edit: Though I am having ONE issue that I THINK is related to one or both of these mods. Occasionally during the day in really busy parts of Whiterun, some NPC's lips don't move when passively speaking. IE They move when spoken to directly, but not if they're just saying something when passing by. I looked into it, apparently the cause is too many "npcs" in the cell. I noticed it looks like SkyBirds was a common culprit (which I don't use), so I'm wondering if it's all the added animals? I can walk around the corner to a less crowded area and they'll talk just fine, I notice it mostly in the main storefront area. I can't answer that one. 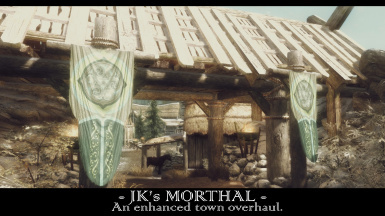 The only NPCs JKS adds are 1 or 2 vendors in the smaller towns and few in the Windhelm Gray Quarter. DoS adds a few though as you know. 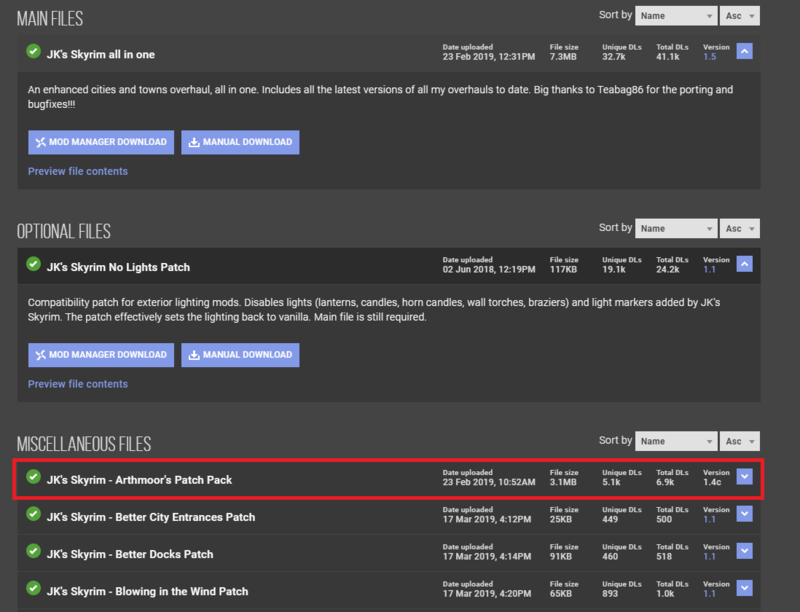 You mentioned something called "Arthmoor's Patch Pack" in order to make Cutting room floor more compatible, but where is it? Google and Nexus search don't turn up any results for it. I mean I see that, but I don't know where or what the Patch Pack is. 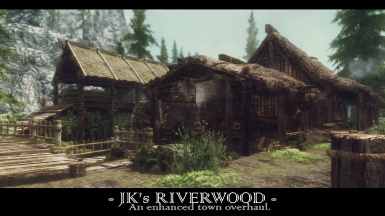 You aren't using JK's Riverwood AND JK's Skyrim are you? Gamer Poets also has a video explaining the process. The link is on the Description page. Glad to see JK's complete. But weird...Whiterun is not working. 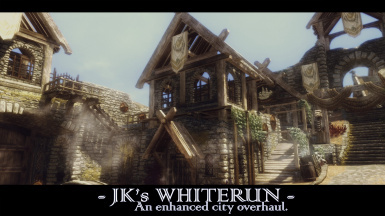 Had the same problem with JK Whiterun. Any advice? Are you using Open Cities? If so you need the patch. Try the "coc whiterunorigin" from the Bethesda logo method in Troubleshooting Sticky #2 which will determine whether your current save file is the issue. Mathy79 said he would be doing the update. Not sure where he is at with it though. He's been releasing some pretty cool mods of late. It's not so much the file itself, it is updating all the patches and then setting them up in a way so as not to confuse everyone. 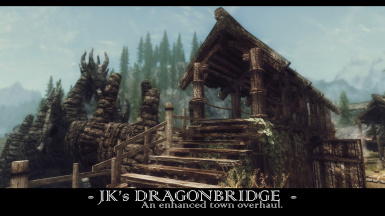 For ETaC I released a separate mod page. I would prefer not to do that for a major towns only version. 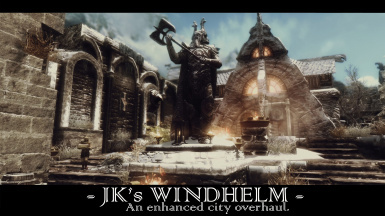 I'm working on a number of updates for other mods at the moment but will get to it at some stage.